As you know, I always like to book our holidays way in advance. I am seriously considering a long haul holiday with the kids next year and I am currently stalking online travel agents and searching for cheap deals to Mexico. Steve and I have travelled to Mexico twice before (without the kids) and it is a destination we desperately want to visit with them. It's such a big commitment though (in terms of price and distance) and I'm just not sure we're ready! 'If you limit yourself to flying short-haul, you're saying you're happy to stay within Europe - and wonderful though holidays in Europe are, there are just so many other experiences to introduce kids to. The whole of the USA for starters, whether that's the amusement parks of Florida or California, where we did a fabulous road trip along the Pacific Coast. Or the Caribbean: as idyllic as the postcards, my daughter still remembers swimming with stingrays. Cat from Here Come the Hoopers goes on to say that their family have been tavelling to Orlando with their girls since they were around 18 months old. For them, it's all about that particular destination Disney World which makes the 9 plus hours in a plane bearable. My children are very good travellers. If we can manage a 36 hour coach trip to Spain, I am pretty sure we can manage anything. I know in my heart they'd be no trouble at all on a 10+ hour flight. Long haul flights such as the 787 Dreamliner are much more comfortable than a standard plane and I know my children would love having access to their own TV screen and being served food on a plane. How exciting! Long haul holidays are usually more expensive than short haul holidays but I think they offer better value. We'd be looking at a 4/5* luxury all inclusive hotel with multiple activities, restaurants, drinks and snacks all included. I have found some Mexico deals that cost as little as £700 per person for 7 nights. We wouldn't need to worry about spending money and the kids would love having access to unlimited ice creams. Even if we do book a £700 deal, this is still £3500 in total which is more than double we've ever paid for any holiday before. On paper, we can afford it but I am always scared by such a big commitment! Long haul destinations don't tend to offer free child places at all inclusive resorts like they do in Europe and so we won't be getting the best deal. There is a whole 7 hour time distance to consider when travelling to Mexico. My children have not had to deal with jet lag before and I do worry how it will affect their routine and tiredness levels. The last thing I want to do is spend thousands of pounds on a holiday for it to be ruined by cranky kids. My children are responsible and follow instructions most of the time but it's still daunting travelling so far away and going through airport security and passport control ect.....when there are more children than grown-ups! I know it's silly but it feels more daunting doing this in a long haul destination airport than a European one. I feel like somebody needs to invent actual eyes for the back of my head! We will be making our final decision and booking up in May. Our top two contenders are either a long haul luxury all inclusive resort in Mexico or a self catering apartment in the Italian lakes. I would really appreciate your help. 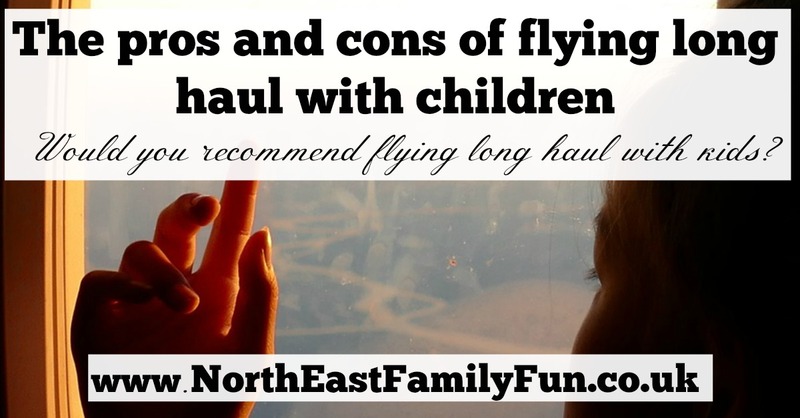 Have you travelled long haul with your children? Would you recommend it? Or should we stick with Europe for now? I don't personally have children but I think you should do the long haul. There is so much entertainment on the flight that it shouldn't be an issue of boredom. I think if you time the flights right and sleep when you get there, it will be easier on them! Italian lakes sounds lovely but Mexico is amazing!! Go! I'm sure you're not surprised by me saying that but what an amazing trip that would be. I would be a lot more daunted by a 36h coach journey. And while there are occasional nightmare flights (poor babyfoote) it's normally better than you fear - and all flights must end. We've done both with our boys over the years. I think you just have to go with which you fancy the most at this point. Our kids were always fine with long haul. I think we worried more than was ever necessary. Mind you they always seem to remember the holidays closer to home as better ones ---- a rainy week in a tent is the highlight of their childhood apparently so just goes to show!! My kids are pretty good travellers too, way better than I was when I was a kid (to be honest, probably better than I am now!) SO I wouldn't be over concerned about the actual flight time... I'd just have to be sure the extra time and money would be worth it once we got to the destination. We've only done European trips with them so far but I'd love to take then further afield! It does sound like your children travel very well and I think your family would have an amazing time in Mexico. 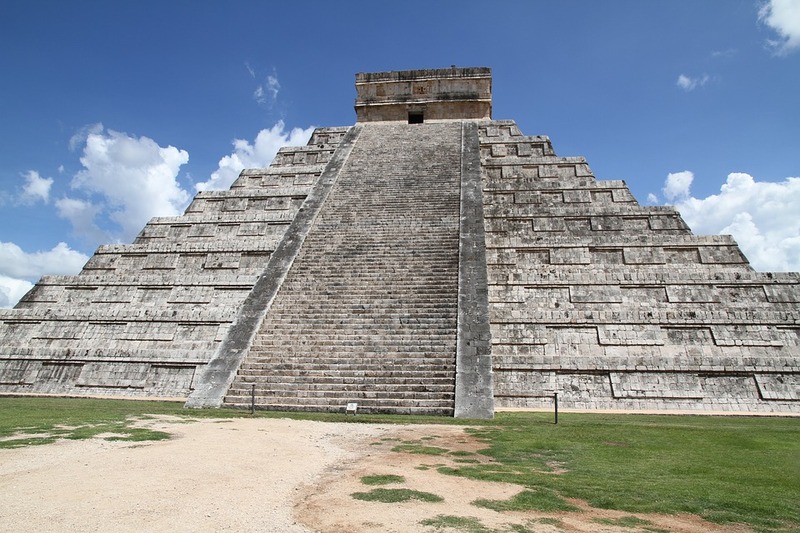 We've visited the Yucatan a few times before and the Caribbean coast is gorgeous, the food is fantastic and the Mexican ruins of Tulum are incredible to see. We've been flying long haul twice a year since my son was born, to Asia and the States, partly to visit my family. Traveling long haul can be exhausting and tedious at times but don't be too worried - it truly is all about the destination and usually it's not so bad. My #1 recommendation would be to plan, plan, plan: choose flights that would work best for your family, pack snacks and activities, allow yourself plenty of time at the airport and let your kids burn off some energy before the flight.